This is actually a hard question to answer because Android phones are getting updated frequently hardware-wise. Anyways, I advise you to check Samsung Galaxy S, Samsung Google Nexus S, HTC Desire HD. Those phones are already huge competitors for the iPhone. BUT, if you can wait for a month or two, Dual Core phones will be out, and then you'd have a huge variety of iPhone 4 killers. There's already the LG Optimus X2, but I would wait to check other manufacturers dual core phones. HTC are known to be superior to Samsung when it comes to Software Updates. A while ago, There were 2 phones on the battlefield of who is the best Android phone in market, Samsung Galaxy S and HTC Desire. HTC Desire always was the first to get the Android updates, it was updated from 2.1 to 2.2 very early after Google released the update, while Galaxy S users were stuck with 2.1 for months after that. Also, although I disagree, reviews report that HTC's User Interface, known as Sense UI, is the best User Interface on Android. On the other hand, Samsung have what is known by the TouchWiz UI, and in my opinion it is a better UI when it comes to telephony and messaging. Sense UI has a more eye-candy Android Home Screen. Anyhow, you're gonna have to test both UIs to know the difference. Hardware wise, HTC uses CPU manufactured by Qualcomm, touchscreens manufactured by Samsung, from AMOLEDs to S-LCDs. HTC have dropped using OLED screens because of the shortage in support from Samsung. All in all, you're gonna have to test both types of phones to know the difference, hardware wise, and software wise. 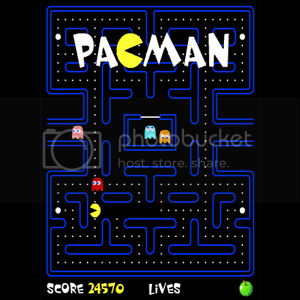 can anybody get me the famous Pacman game but not Online ! I mean I don't want to enter it via a link on the Net ! I want to download it on my PC ! search for pacman, nokia devices should run it I think. Don't know about other devices. Last edited by TAREK®; 11-07-2011 at 11:06 AM. good morning , how does it cost a new iphone 3 these days? i got that and it actually works! , it costs 400 kb through all the operation of sending the message , thats equal to 4 cents on a 10$ 3G plan , that is 5 cents less than a normal message through the day , 3 cents less between 10 and 12 , and 1 cent less after 12.